Here's a short guide to our ordering, shipping, and return policies. Once you place your order, it cannot be cancelled, altered, or modified. Please be sure to review your order items, address, and billing information before submitting your order to ensure everything is correct and accurate. Please contact us online or via phone at (563) 382-5990 (Monday-Friday, 9am-5pm CST) if you have other questions regarding your order. Free Shipping - Online orders $250 or more, within the Contiguous United States. 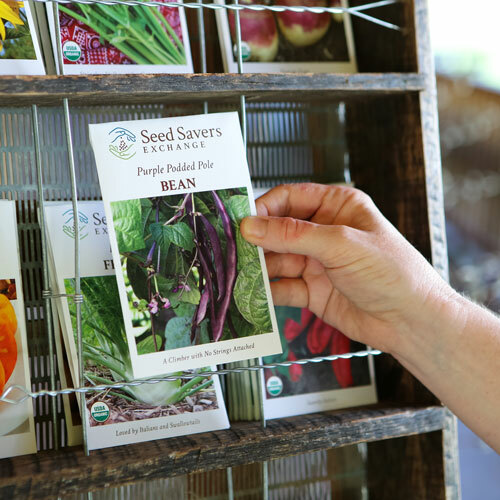 Orders will ship via the best method using USPS or UPS, as selected by Seed Savers Exchange. Minimum order amount to qualify for free shipping may vary. Expedited Delivery - Available for online or phone orders only. Overnight or 2-day delivery available within the contiguous United States. Expedited deliveries take 24 hours to leave our warehouse (orders placed after 12:00 pm CST will be processed the following business day). We DO NOT ship expedited Saturday delivery. Hawaiian Customers - Orders are shipped to Hawaii via USPS Priority Mail. We cannot ship perishable items to Hawaii. Canadian Customers - Orders are shipped to Canada via USPS Airmail. We cannot ship perishable items to Canada. Shipping Time - Orders with all items in stock will ship within 3-4 business days. Bulk Seed Quanties - Orders for bulk seeds are custom-packed and require an additional 1-3 business days to leave our warehouse. Back Orders - Back orders ship when our inventory is replenished. Shipping costs are charged at the time of purchase. Tracking Your Order - A tracking number will be emailed to you the day your order is shipped. Receiving Your Order - Please open the package upon receipt and inspect the content against the packing slip. Notify us immediately of any items that are missing or damaged. Please do not discard any damaged items or shipping materials. The shipping carrier may require an inspection prior to approving any claim. Lost/Stolen Packages - If your package was lost or stolen contact us within 2 weeks of placing your order (for shipments within the USA). NOTE: Refunds are not granted for packages lost after being delivered to the address you provided to us. 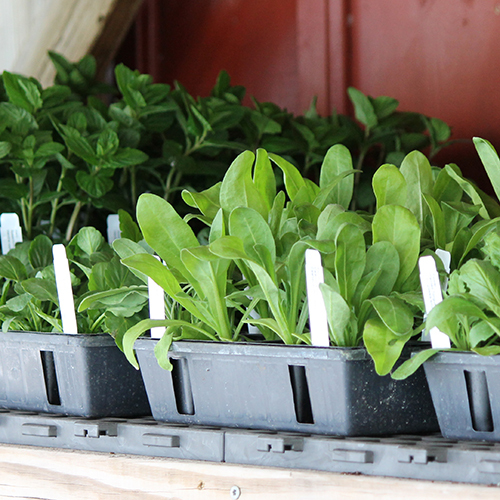 Transplants - Transplants begin shipping April 1, then weekly beginning April 22, 2019. We will prioritize orders for warmer zones to ship first and will avoid shipping to cooler zones until threat of freezing has diminished. Contiguous United States Only and we cannot ship transplants to California, PO, APO, or FPO boxes. We require a minimum of 6 plants to ship an order. Your credit card will be charged for the entire order amount at the time of purchase. Potatoes - Potatoes begin shipping mid March 2019 and continues until we are sold out. We will prioritize orders for warmer zones to ship first and will avoid shipping to cooler zones until threat of freezing has diminished. Contiguous United States Only and we cannot ship potatoes to APO or FPO boxes. Your credit card will be charged for the entire order amount at the time of purchase. Garlic - Garlic begins shipping mid September 2019 and continues until we are sold out. If you find a particular variety is listed as Sold Out, please check back in August to see if more garlic is available based on our actual harvest. Contiguous United States Only and we cannot ship garlic to Washington, APO or FPO boxes. Your credit card will be charged for the entire order amount at the time of purchase. Apple Trees - Available for ordering April 2019 (limited quantities). Trees will then ship Spring 2019. Contiguous United States Only and we cannot ship apple trees to PO, APO, or FPO boxes. Your credit card will be charged for the entire order amount at the time of purchase. Does not apply to wholesale (Seed Rack) customers. Non-Perishable Items - Within 30 days of receipt, you can return any non-perishable item for a full refund (excluding any shipping charges), provided the product or item is unused or undamaged (in new condition and in its original packaging). Perishable Items - We guarantee perishable items to be in good, viable condition when we sell them. We strongly encourage you to inspect all items carefully upon receipt. Should there be any quality issues, you must notify us within 3 days of your receipt to request an exchange or refund (excluding any shipping charges). Beyond 3 days from date of receipt, perishable items are non-refundable. 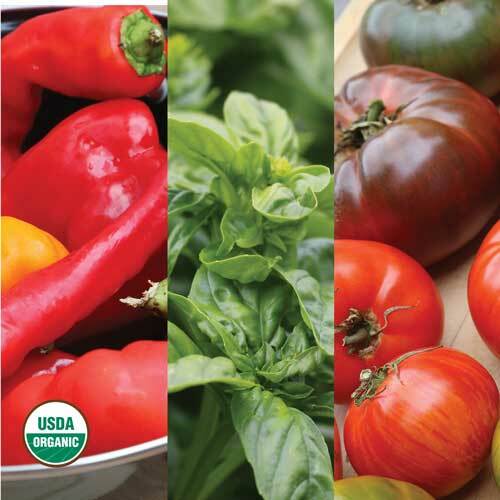 Perishable items will ship separately from seeds and products. Orders on this site can only be placed for shipping addresses within the United States, Canada, or Puerto Rico. General - We are pleased to offer our extensive range of vegetables, flowers, herbs and gardening merchandise to our international customers. In order for us to quickly and efficiently ship your orders, please check with your Ministry of Agriculture for current import restrictions or for necessary permits required for importation before placing an order for seed. Please send all correspondence in English and provide us with your telephone number, fax number, e-mail address and be sure to let us know your preferred method of communication. E-mail is by far the most efficient manner of communication for us. Please allow up to 4 weeks for processing on all international orders. Shipping - All retail international orders pay the actual shipping/freight costs. We will send all orders by USPS (United States Postal Service) Standard Airmail or Priority Airmail. We are not responsible for lost shipments, confiscated items, delayed orders, duties or taxes. Phytosanitary Certificates - Buyers will pay the actual costs of phytosanitary certificates, if required for delivery. The standard rate for an official phytosanitary certificate from the United States Department of Agriculture is $85.00 USD. 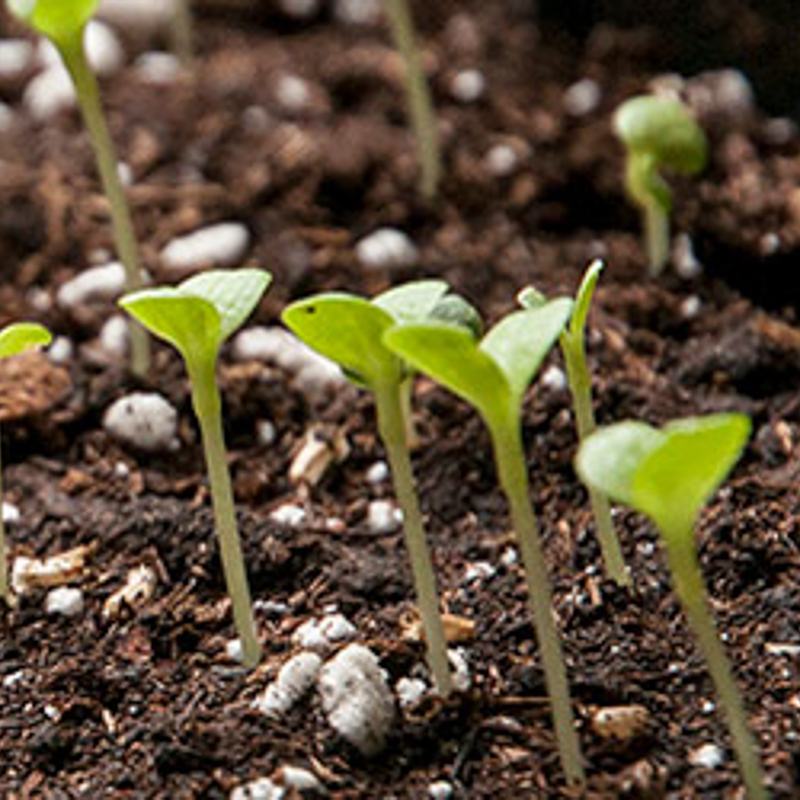 Some shipments may require two certificates, if the shipment contains both seeds grown in the United States and seeds grown abroad. If this is the case, then the fees will be $170.00 USD. Additional Declarations - If additional laboratory testing is required to issue a phytosanitary certificate (for example, Erwinia stewartii, Curtobacterium flaccumfaciens or Xanthomonas campestris), the buyer will pay the actual laboratory costs. Payment - All international orders must be paid in advance. Credit cards are preferred and we can accept Visa, MasterCard, American Express and Discover. Please contact us for other payment arrangements. Bulk Seed Quantities - All wholesale prices are listed online per variety. Contact Information - All international orders are shipped out of our headquarters in Decorah, Iowa. Please contact us online, via phone at (563) 382-5990, or via fax at (563) 382-6511.